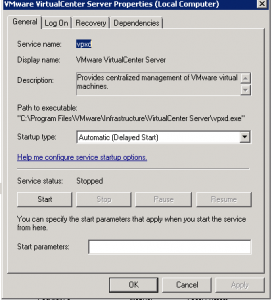 I recently completed a vCenter 5.1 update for a customer and notice a few days later that the vCenter service had stopped. 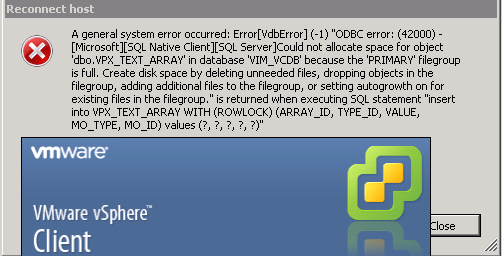 Restarted and logged in to find the following error: “A general system error occurred” “Could not allocate space for object dbo.VPX_TEXT_ARRAY” in VIM_VCDB, etc. 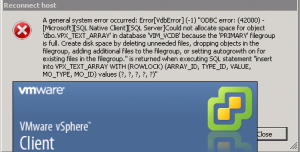 First, I stopped the vCenter Service. 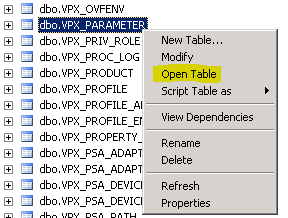 Expanded the VIM_VCDB DB, selected Tables & Opened the dbo-VPX_PARAMETER table. 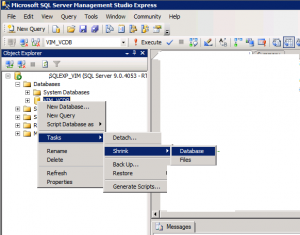 Scroll down on the left, expand Programmability, Stored Procedures. 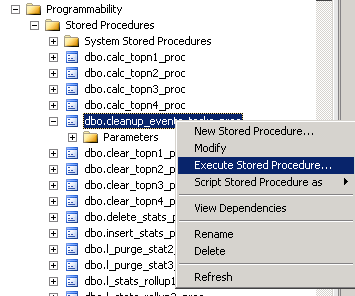 Right-click on dbo.cleanup_events_tasks_proc, select Excute then OK on the following screen to run the produce.